mensupport penggunaan teknologi nuklir untuk kedamaian dan perdamaian dunia.. Pen Dosimeter Analog Charger Tipe "The Charger"
Go to Facebook.com/Kashelara for further info. > Kondisi barang indent 12 minggu. > Harga sudah termasuk kalibrasi pertama kali dan pengiriman ke tempat tujuan. > Jika menghendaki transaksi an. Perusahaan, maka harga masih belum termasuk ppn 10%. (Jika ingin transaksi resmi bukan pribadi). The TelePole is a gamma survey meter, with the detector mounted on an extendable pole designed for monitoring less accessible areas or providing " safe distance" operation. 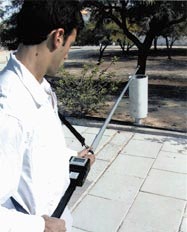 The four segment telescopic pole extends to 337cm ( 11 feet) and collapses to 107cm ( 3.5 feet) with the detector mounted at the pole end. There are two detector configurations are available. 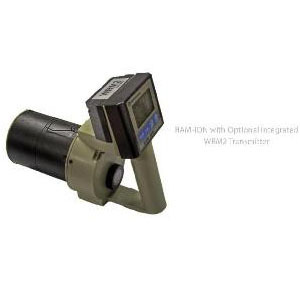 The WR ( wide range) provides measurements over the range 0.5µ Sv/ hr to 10Sv/ hr ( 50µ R/ hr - 1000R/ hr) , while the HR ( high range) covers 50µ Sv/ hr to 10Sv/ hr ( 5mR/ hr - 1000R/ hr) . 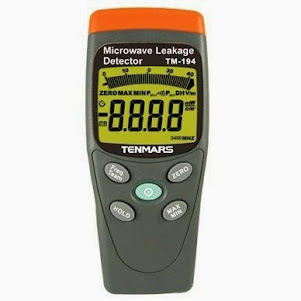 An optional internal detector is also available. TelePole features a 380 record data memory that can be downloaded to a PC using the new RMV Software Package. An optional barcode reader is also available which makes TelePole fully compatible with the SMARTS radiation survey mapping and tracking system. * Rugged, lightweight construction (~2Kg)* Digilog, continuous ranging, combined digital and analog, LCD display* External detectors for either wide range or high range applications* Optional internal detector* Readout of dose rate and accumulated dose* Units of either mR or µSv with dead time correction. 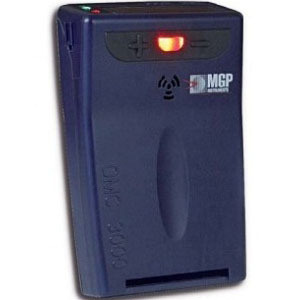 * Programmable alarm thresholds* Data memory for 380 records (1550 with optional extended memory)* Compatible with RMV software for pc data downloads* Smart software provides fast, yet stable response* Alarms for detector overflow, low battery and detector failure* Automatic self diagnostic routines* External headphone connection. Large, three digit and two decade backlit LCD readout. 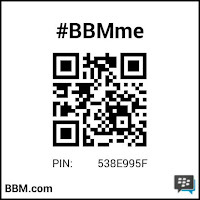 0.5µ Sv/ hr to 999mSv/ hr ( 0.05mR/ hr to 99R/ hr) . Mounted within electronics control unit. continuous use ( without backlighting) . Automatic battery check under full load. Jika Menghendaki Transaksi An. Perusahaan Maka Harga Masih Belum Termasuk PPn 10% Jika Ingin Transaksi Resmi Bukan Pribadi. > Kondisi barang indent 4 minggu. 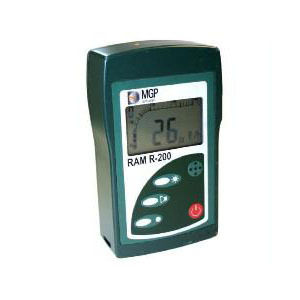 The RAM-R 200 can be used as a portable or stand-alone radiation measurement monitor. An audible indication is activated either by frequency fluctuations in accordance with the field strength or chip for each measured pulse. The RAM-R-200 utilizes a combination display consisting of a smooth digital readout for minimum fluctuations and a twodecade analog bar graph for fast viewing response. Features... 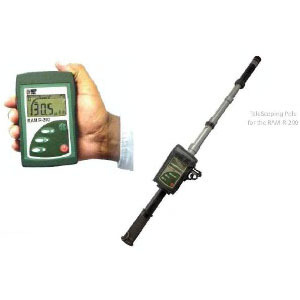 The RAM-R-200 is designed for measuring a wide range of alpha,beta and gamma radiation fields (with external smart detectors). The RAM-R-200 features 2 internal energy compensdated GM tubes, with a measurment range of 10uR/hr to 100 R/hr (0.01mSv/hr to 1 Sv/hr). The MY DOSE series allows you to check at any time the accumulated amount of radiation exposure. 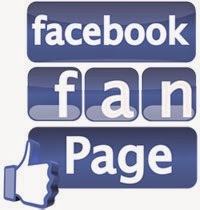 They are designed to be placed in a pocket (chest or abdomen) of a worker who handles radiation or a person who happens to enter a radiation handling facility. 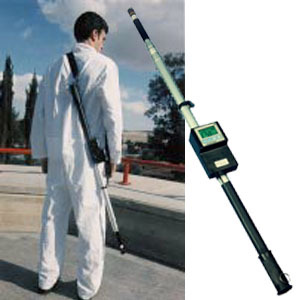 HDS-101G/GN are handheld devices designed to search for and identify radioactive aterials and to respond to radiological threats such as illicit traffic¬king and RDDs. They are able to identify radionuclides and classify them as medical, industrial, naturally occuring radio-active materials (NORM) and special nuclear materials (SNM). They can be used to detect, localize and characterize threats during radiological surveys or for secondary screening as perfect complement for installed radia¬tion detection portals. The HDS-101G/GN are ideally suited for First Responders, Border & Customs inspectors, Law En¬forcement Officers, Site Security in critical infrastruc¬tures, and for all applications related to the control of radioactive and nuclear materials. The RAM ION DigiLog provides a very straightforward, fast and reliable method of collecting and storing survey data on site for later use. The RAM ION DigiLog can read bar code labels that identify measurements location. 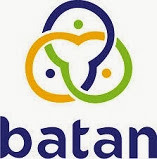 The measurements data combined with their locations, data and time are stored in a built in memory. The stored data records can be downloaded by the SMARTS (Survey Mapping Automated Radiation Tracking System) software or manually for custom applications. The RAM-ION is designed for highly stable and accurate measurement of dose rates and integrated dose of gamma, x-ray and beta radiation nd covers a measuring range of 0.1 mR/h to 50 R/ h (1μSv/h - 500 mSv/h) in the dose ate mode, and 1μR to 1000 R (0.01 μSv - 10Sv) in the integrated dose mode. The Model 909B Charger LED Reading Light reduces re-zeroing time and effort by eliminating the need to remove the dosimeter from the Charger for reading. 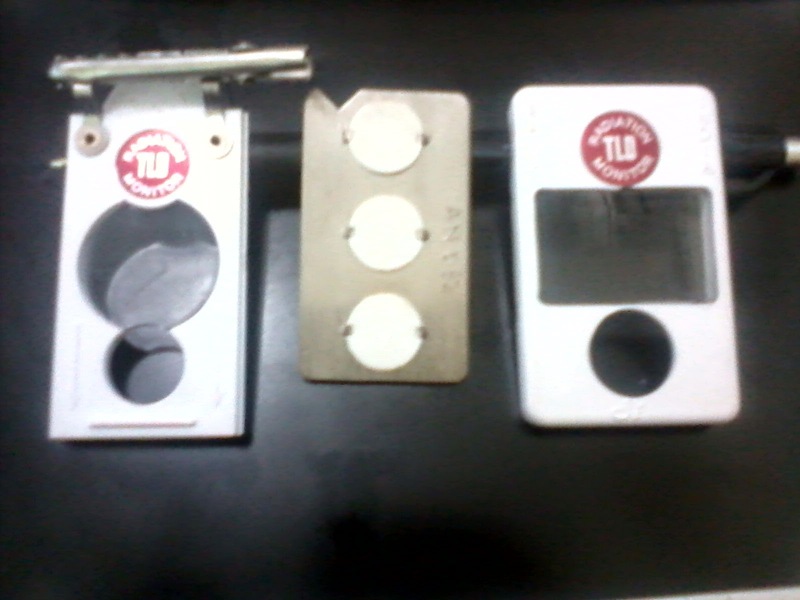 Simply view the scale while the dosimeter is resting lightly on the charger contact after re-zeroing. Reading in the same orientation as charging also minimizes the effect that gravitational induced fiber movement has on dosimeter accuracy and precision. 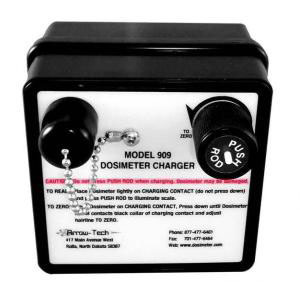 The Model 909B Charger charging contact is spring-loaded and has a positive mechanical stop. This design feature makes it virtually impossible to damage dosimeters through excessive charging force. 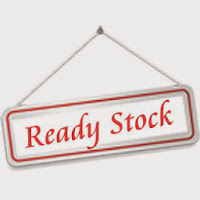 > Kondisi barang Ready Stock. > Jika menghendaki transaksian. Perusahaan, maka harga masih belum termasuk ppn 10%. (Jika ingin transaksi resmi bukan pribadi). 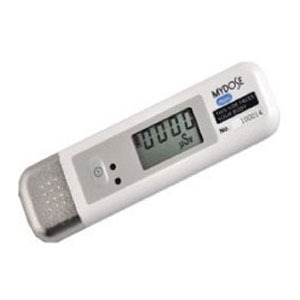 Covering a wide range of X-Ray and Gamma radiation detection, the DMC 3000 Electronic Dosimeter represents over 25 years of real-world electronic dosimetry experience, continually refined through customer feedback. 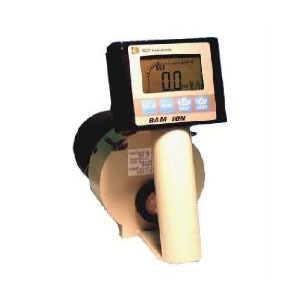 The unique, high contrast and backlit LCD display provides a clear indication of wearer's dose and ambient dose rate for deep dose equivalent. More importantly, multiple methods (audible, visual, and tactile) are utilized to alert the wearer of alarm conditions. Display rate: 10 μSv/h to 10 Sv/h (1 mrem/h to 1000 rem/h) or 1 μSv/h to 10 Sv/h (0.1 mrem/h to 1000 rem/h) extended option. 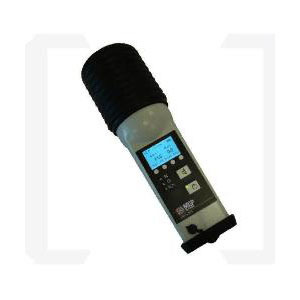 The RDS-40WE is a Digital Handheld Dose Rate Meter designed for use by personnel who may be exposed to gamma and/or X-ray radiation in their work. RDS-40WE provides either sequential or fi xed dose rate alarming system (values are programmable by the CSW confi guration software via IrDA link) and the possibility to store dose rate events into the histogram memory of the meter. The use of the RDS-CSW software (Mirion product # 1233-246) is required for downloading the data into a PC via IrDA port. RDS-40WE is microprocessor controlled. The user interface consists of one push button and an easy-to-use menu structure that displays information in the LCD of the meter. The six digit display shows the dose rate and various messages. Diff erent alarm situations are indicated by a combination of audio-visual eff ects in the LCD and a buzzer (dose rate, dose , low battery, defect, dose rate overfl ow). The advanced PEN direct reading dosimeters are rugged, precision instruments. They are higher quality and have greater reliability than other dosimeters of this type. They measure and directly read, at any time, accumulated dose (quantity of gamma and x-ray exposure). 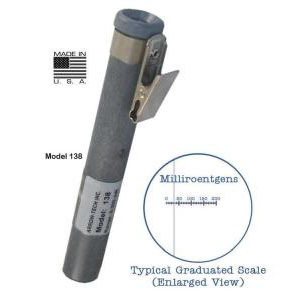 PEN dosimeters are designed to satisfy military specifications for the RADIAC METER IM-264/PD and ANSI N 13.5 and N322 requirements. A sturdy metal clip attaches the dosimeter to a pocket or any object to monitor total radiation exposure. They are hermetically sealed and immersion proof. ±10% maximum change in sensitivity for x and gamma ray energies from 16 keV to 8 MeV. In the absence of radiation, the dosimeters leakage or self discharge is less than 0.5% of full scale in 24 hours at 50°C. At 20°C dosimeters will read background radiation. After gross over exposure totaling up to 2000 R the leakage is less than 5% of full scale in 48 hours at 20°C. 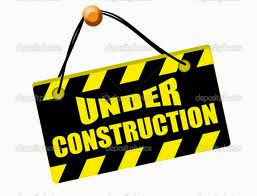 Thereafter, the leakage will decrease to original values. Dosimeters are capable of being charged to “zero” with 140 to 195 volts. C) Relative humidity greater than 95% Highly resistant to shock and vibration. ±10% of true dose for Cs137 or Co60 gamma. 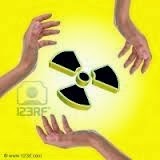 Dosimeters are dose rate independent. Barrel - carbon fiber-filled, high-strength, electrically-conducting plastic with metal clip. Single element dosimeters and assemblies are widely used in many installations and processed using Harshaw TLD Systems. These systems include a range of Readers and Irradiators with compatible software to implement calibration, radiation evaluation and management, dose algorithms, health physics record keeping, finder database, glow curve analysis and chain of custody monitoring. 2, 3 or 4 TLD elements are assembled into rigid aluminum cards and mounted within shielded filter-holders. 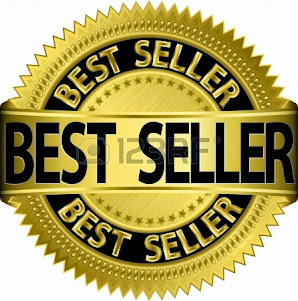 Consistent, well-controlled and repeatable procedures are the key to successful TLD. Variations in annealing temperature will affect dosimeter sensitivity, for example. The following guidelines are advisable to optimize the reproducibility of bare dosimeters. Vacuum tweezers should always be used. (Avoid mechanical tweezers or fingers). Small scratches, loss of mass or foreign deposits affect light emission). Rinse the dosimeters in analytical grade anhydrous methyl alcohol between normal uses. (Do not soak). Dry by leaving to evaporate for at least one hour. Anneal once before actual use, accurately following the established procedure. The anneal will also assist in removing any residual methyl alcohol. For annealing temperatures up to 400 °C, the containers should be made from high temperature stainless steel or oxidized aluminum, preferably thin to assist rapid cooling following annealing. (Do not use non-oxidized aluminum). The use of a dedicated annealing oven reduces the risk of contamination by foreign material. Place the annealing containers on open oven racks with air space all round to avoid inconsistent heat gradients. (Do not stack containers or allow them to touch the oven walls). Calcium Fluoride Dysprosium (TLD-200), Aluminum Oxide (TLD-500) and Calcium Sulfate Dysprosium (TLD-900) are extremely sensitive to UV light. These materials should be handled and used in the absence of UV light and stored in opaque containers. Calcium Fluoride Manganese (TLD-400) is moderately UV light sensitive. 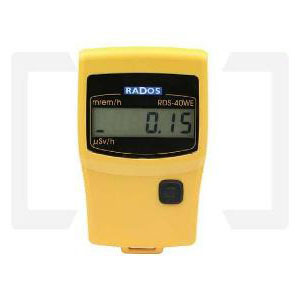 The RADOS RAD-60 Personal Alarm Dosimeter is a precise and reliable instrument for ensuring the personal safety of the user. 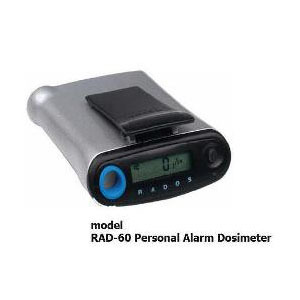 Ideally, the RAD-60 is used in everyday radiation monitoring, in stand-alone conditions. If your needs grow for a more sophisticated system, the RAD-60 can also be integrated into an Access Control System. The RAD-60 can be switched into System Mode, for the purpose of tracking Personnel Dose records and compliance reports.